Halloween is a favorite RainStorm holiday (check the retrospective!) and this year the festivities were darkened (literally) by the power outage that proved problematic for much of the state for many days. While we all expect scary weather this time of year — and even occasionally hope for it a little — our recent wind storm brought more than we bargained for. As towns across New England postponed trick-or-treating, we decided to join them and hold our Halloween festivities on Friday as well. 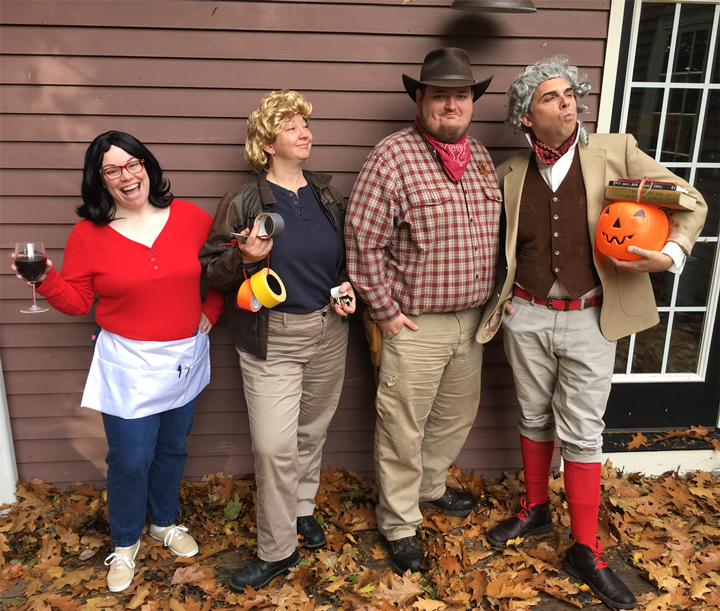 Here’s the Orono HQ assortment celebrating RainStorm’s Halloween Observed 2017. How’d we do this year?